Whether your customers are dining in or grabbing takeout, you'll be able to complete any meal with this tartar sauce! Featuring a semi-smooth texture and zesty, creamy taste your patrons know and love, this mayonnaise-based sauce is sprinkled with pickle relish and hints of lemon. tartar sauce uses a classic recipe reminiscent of fish fries and family gatherings, making it a tasty condiment for any seafood meal. Customers will love dipping fried shrimp and clams in a rich, flavorful sauce. 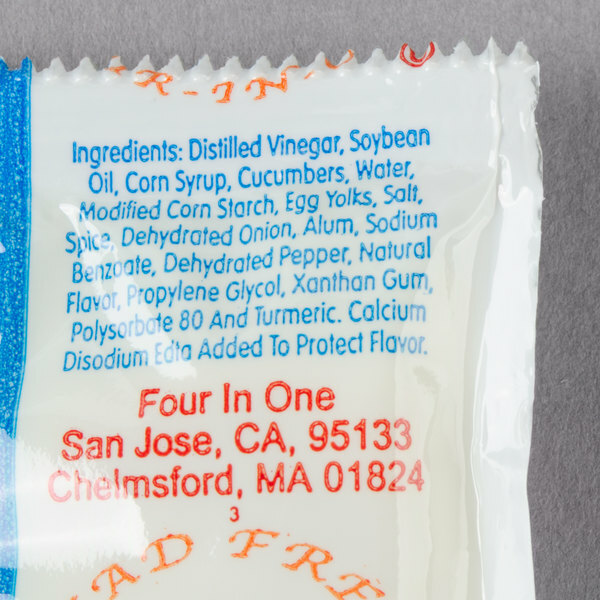 No serving of fish & chips or fried fish sticks will be complete without a packet of this tartar sauce! These 9 gram packets are ideal for delis, restaurants, concession stands, and convenience stores. Portion packets of tartar sauce keep the product fresh and reduce waste from unused product in bulk containers to help control costs. 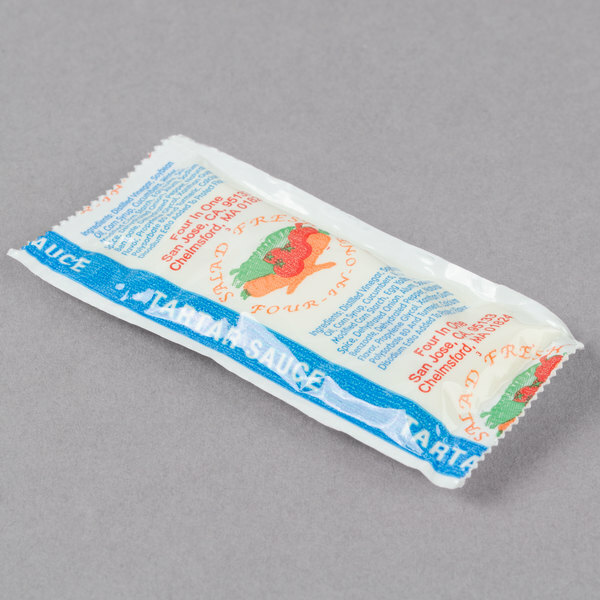 Offer these tartar sauce packets in takeout bags, and they're perfect for the carry-out customer! This is a very tasty tartar sauce at a very inexpensive price. The package size is perfect for fish and chips orders. The packaging is very well made. I didn't even have one package that was damaged. These tartar sauce packets are perfect for take out orders! They taste good and look nice. Overall great product. The price is very competitive! We would recommend. Very tasty tartar sauce. It's the perfect condiment for our seafood. Easy to put with our to go orders. The packets are easy to squeeze with little mess. Great tase at the fraction of the price elsewhere. 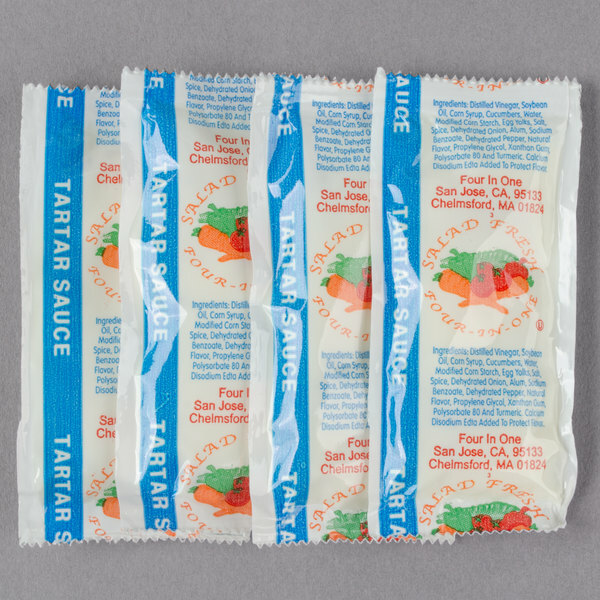 Can't explain enough how well our customers like the tase of these tarter sauce packets. We love em! This tartar sauce in a portion pouch is just fantastic. It taste delicious and it goes well with my fish and chips. The convenience pouch is great for takeouts. Tartar sauce packets! These 9 gram packets are sold in a case of 200. They are great for portion control. Just as long as you are not using more than directed. It ensures self control. A very nice and easy way to serve tartar sauce on our food truck. 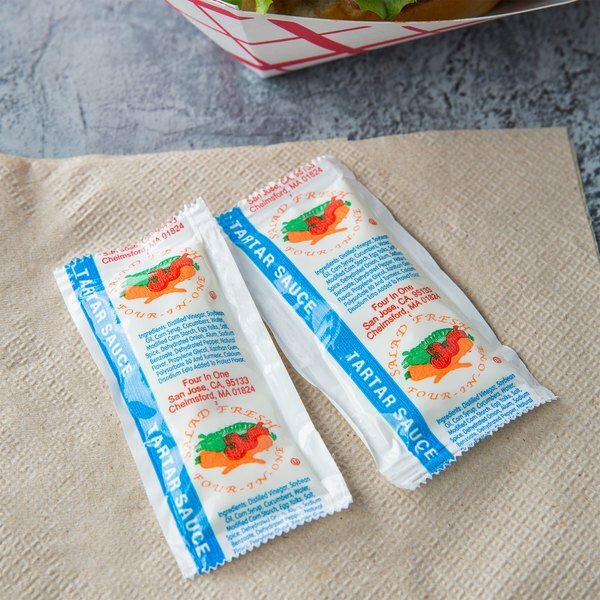 The tartar packets are great for shrimp dinners and the packets make them easy to store. This is a great tasting mayonnaise for carry out and delivery orders. We have purchased many times and preferred the larger size packets. We would recommended. I use these with my to go fish and shrimp dinners. They are very convenient and are actually quite tasty. My customers love them and always ask where they can get them. The tartar sauce is a great quality and the portion packets make it easy to put in to go plates. The sauce is great on fish sandwiches. This is a great tasting and cost effective product. My customers love it! It holds up well in shipping and it is easy to open. The Piknik Tartar Sauce 9 Gram Portion Packets are very nice to have in our home. No more measuring out portions, that is definitely a plus. The taste is pretty good and the price is excellent. Good flavor and great price. 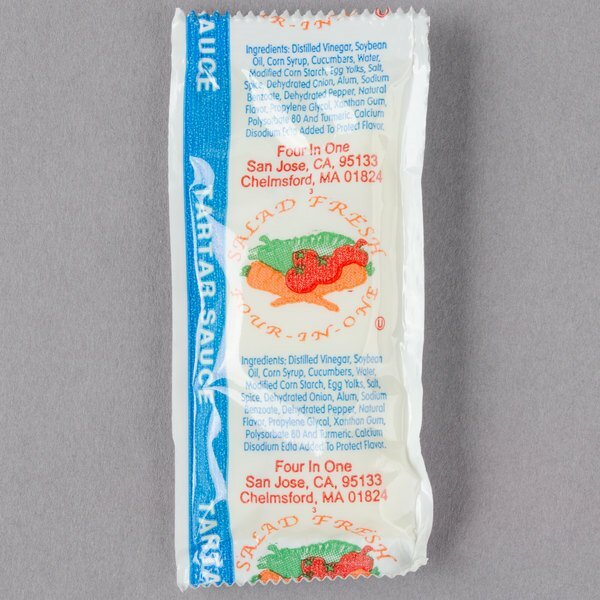 When doing seafood take out, many times we are giving out multiple sauces because we forget to ask when taking the order. These packages make it less of a money loss! These Packets are great! We run a mobile seafood trailer and the packets work well and all our customers love them! The taste is very flavorful! A fish sandwich or any fish meal is incomplete with out some great tasting tartar sauce. Thankfully Pinknik tartar sauce is smooth and have a taste that not to strong or bitter. The box comes filled with delicious tartar sauce in little packages to use at one's disposal. Now one can make your sandwich or salad on the go.